Update: Talk Groups Revised. Added PS1 and PS2. These are for EMCOMM/Public Service use only. See PNW-DMR website for more details. 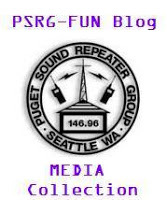 From Doug (KD7DK): With material help from Randy (W3RWN) and labor from Casey (AE7SL), the Puget Sound Repeater Group has installed its test DMR repeater at Capitol Park. This repeater is linked to and carries the core PNW-DMR (Pacific NorthWest DMR Group) talkgroups. Please visit their website pnwdigital.net* for more information on the PNW-DMR network, talkgroups, user technical guidelines, and operating best practices. If you are going to operate DMR in this region, please join the PNW-DMR notification group so you can receive operational notifications and be informed of network changes. Now the details so you can program your radios: Our repeater is new so its not in the existing codeplugs which you can download from the PNW-DMR website. This is a dedicated narrowband (12.5KHz) channel. Parrot (9998) – This is a playback test talkgroup. The equipment for this repeater is a Yaesu DR-1X operating at 20 watts into a modest gain antenna. The digital modem is a Micro-Node Teensy-MMDVM connected to a Raspberry Pi 3 running MMDVM-Host and DMR-Gateway to interconnect to the PWN-DMR 2-slot gateway, known as Rex. This is not the final configuration but one the group could launch quickly, and help us gain more information to inform our final equipment choices. If you have not operated DMR before, please take some time to read some of the information for first time users before keying up. We have been really pleased with the initial coverage reports. Please let us know how you find the coverage. We are currently running 5 watts, but that was a configuration mistake and it will shortly be set to 20 watts which will probably be the final setting for the test repeater. Send questions and observations to tech@psrg.org. *Also please note that PNW-DMR is in the process of moving their web presence to a new hosting site and that some of the URLs referenced above may change in the future. Update: The PSRG Annual Meeting will be held Sunday January 27th from 1 PM to 4PM at the Seattle EOC . The speaker will be Bob Stephens AF9W on the topic “Introduction to DMR.” See the Annual Meeting Page for detailed information. New! PSRG has received a donation of an AnyTone AT-D878UV GPS DMR handie-talkie which will be awarded as a door prize at the Annual Meeting. You need to be in attendance at the annual meeting to win. The AnyTone AT-D878UV is a dual band analog FM and DMR (tier I and II) portable radio, it supports APRS, DMR Roaming and DPRS. This radio is designed for amateur radio. The radio has a value of $219 and was donated by an anonymous donor. https://www.amazon.com/gp/product/B07JM2HTV6/ It will, of course, work on the new PSRG DMR repeater. Although the minutes of the December board meeting have not been released, President Doug, KD7DK has announced that the board approved the installation of a 70 cm DMR repeater at the Capitol Park site. See the previous DMR Repeater Proposal for an explanation and details. Doug announce on the December 10 PSRG Net that donations were being accepted to cover most of the costs. By the December 12 9 PM Net, the goal had been met! IRLP has been out of commission for a while, but thanks to our dedicated Tech Team, it is back in business. The Echolink/IRLP/Allstar page has been updated with instructions about how to use it. PSRG added a “Voting System” in October 2018. This is a network of remote receivers scattered around the coverage area to enhance the coverage for people calling into the repeater. Although the system is one directional, i.e., the remote units can receive your signal, the output of the repeater still comes from Queen Anne. A more detailed explanation of how the system works has been provided by Doug Kingston, KD7DK: PSRG Voting System. PSRG Voting System. You can look at the strength of the signals being received by each of the receivers in real time at the PSRG Supermon page. The November Educational Meeting date was held on Saturday November 10, at 1:30 PM at the Salmon Bay Cafe, 5109 Shilshole Ave NW, Seattle. Confirmed presenters were Cody, AG7LR, presenting his work with micro-controllers; Darin, KG7ZFC, presenting his Raspberry Pi/SDR box project and Quentin, K7DRQ, discussing Antenna Optimization with Genetic Algorithms. The August meeting minutes have been posted under the News & Information tab. The September Educational Meeting date was held on September 15, at 1:30 PM at the Salmon Bay Cafe, 5109 Shilshole Ave NW, Seattle. Part 1 featured Hannah Heyrich presenting a talk on disaster risk reduction. Her focus is in community and public outreach with the goal of helping to build safer and more resilient communities. She offered practical information you can use to be proactive in preparing for catastrophes. Update: Here is a link to Hannah’s slides. Part 2 featured Jack, KI7RMU and Jacob KI7YAE, showing their portable solar power battery system used recently on Salt Spring Island on a two week camping adventure. This system can also be used for emergency power needs and is relatively inexpensive – about $200. This part also covered the Anderson Power Pole system used to connect the system parts. Anderson Power Poles are a de facto standard for ham radio power connections. Part 3 is an antenna party hosted at Sam KD7PWA & Dave’s KD7PWB’s shop which is about three blocks from the Salmon Bay Cafe. For new hams and old hands this was an exciting post-meeting time to build an antenna, build cables with Power Poles and to socialize.